One word to sum up Band Of Skulls’ third album ‘Himalayan’? It has to be ‘epic’. Expect trademark sharp and catchy melodies propelled by soaring guitar riffs and euphoric choruses with Russell Marsden and Emma Richardson’s exquisite harmonies. 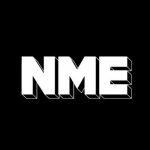 The album’s produced by Nick Launay (Yeah Yeah Yeah’s, Arcade Fire, Grinderman) and released on March 31 but you can listen to it exclusively on NME.com this week. The band start their latest UK tour tonight (March 24), you can also pre-order ‘Himalayan’ now.